Ice Prince yesterday 13th July, 2013 made history as the first Nigerian artiste to be interviewed on New York City’s very own HuffPost LIVE, a video-streaming subsidiary of Huffington Post. 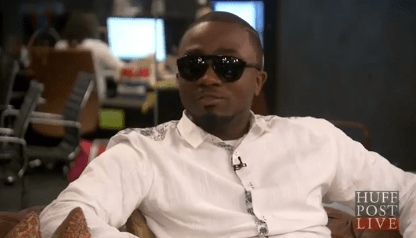 In the interview, Ice Prince talks about winning the 2013 BET Award [Best International Act] and also clears the air on rumors that have been making rounds that he received his award backstage with no crowd present. He explains he was given the award on stage just before the live broadcast of the main show kicked off.